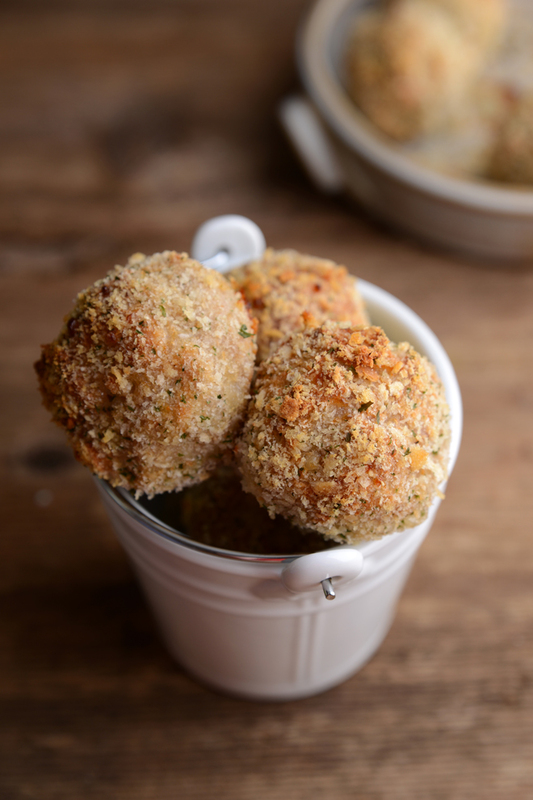 I realise yesterdays recipe had sausages in but I’m just too excited about these to wait. 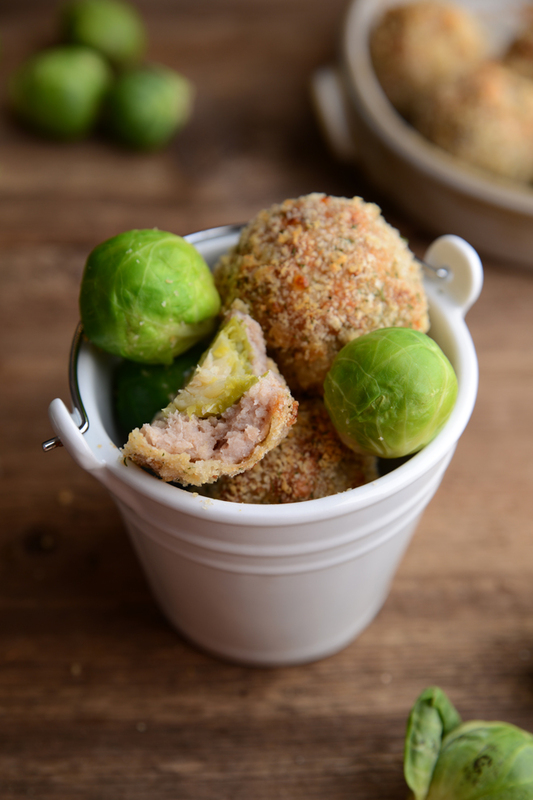 I’m not sure how or why but I got a little bit fixated on the idea of having brussel sprouts with garlic bread crumbs and what started out as that, went on to me having a sausage epiphany and turned into these. I’ve been so excited about making these for the past week, I was delayed a day by sausage problems but they’re finally here. 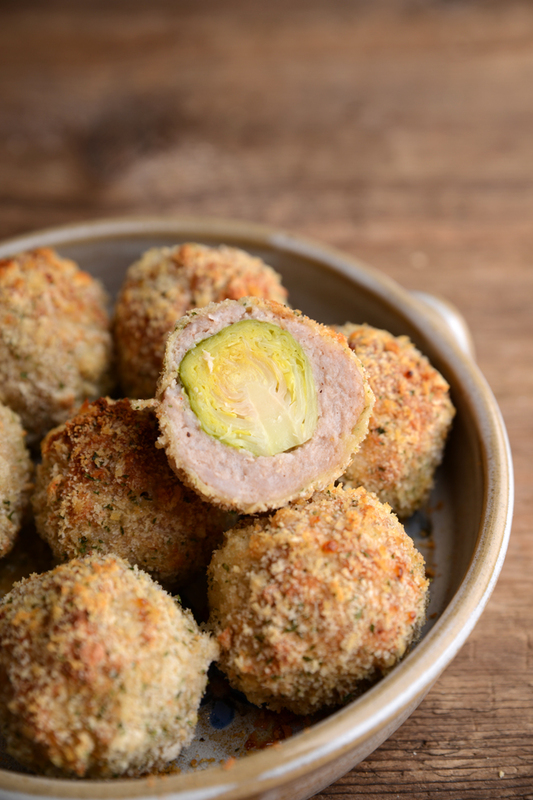 They actually ended up looking a lot more like scotch eggs than I thought they would, scotch brussels? It’s not got quite the same ring to it huh! I will warn you now, these are a get your hands stuck in kind of food. They don’t take that long to make but there is quite a few steps, but they’re fun steps! I don’t know about you but I think breading food is highly enjoyable and that’s not sarcasm, plus my mum gave me a helping hand so we had a breading production line. You don’t need a production line, or 4 hands, 2 is enough, it just halves the work load so if it’s Christmas morning put the kids to work. I can't really explain how good these taste, you'll just have to take my word for it and make them yourself. 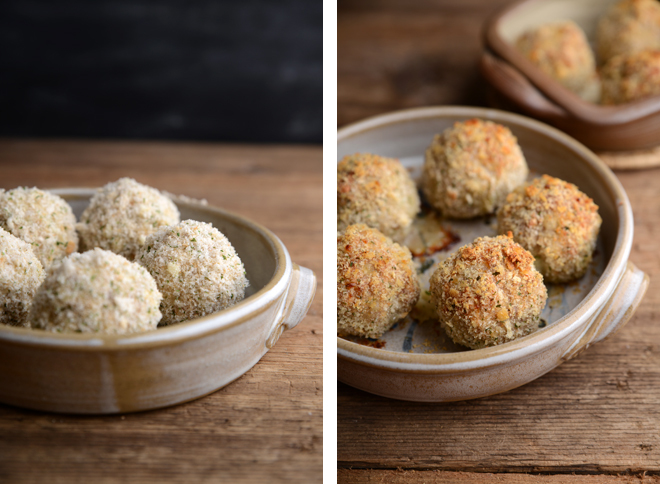 The secret ingredient is broad oak farm sausages, although they're local(ish), so not the easiest for you to find but I'd urge you to use your favourite sausages not sausage meat. 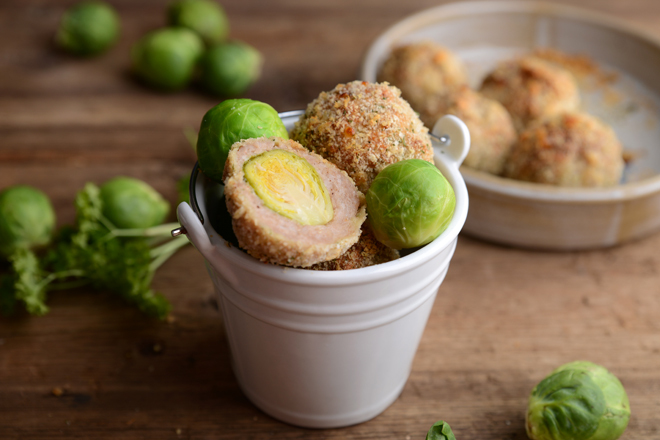 These would be perfect with Christmas dinner, especially if the little ones don’t like brussel sprouts they might just be open to trying them because really this is 50% sausage. Alternatively you could just eat a plate of them, that would be my preference. In a saucepan bring some water to a boil. Chop off the ends of the sprouts and peel the first few layers off, add to the water and boil for 5 minutes, drain and run under cold water. When the sprouts are boiling put the bread and garlic in a food processor until breadcrumbs form, add the parsley, season with salt and pepper and blend again. If you’re using sausages peel the skins off, dry the sprouts and wrap the sausage meat around them. 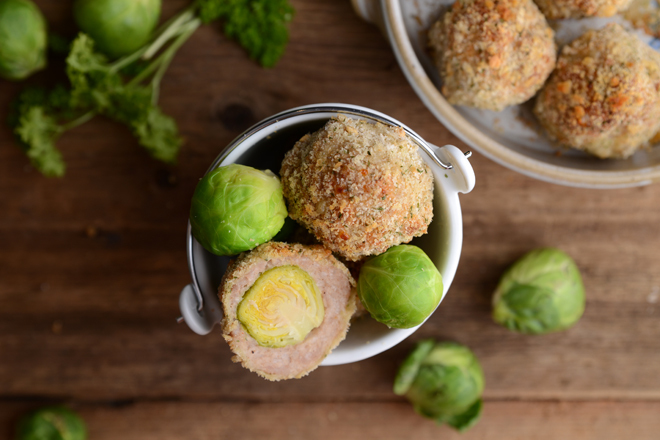 Once all the sprouts are wrapped in meat, cover in flour, then cover in egg and finally cover in bread crumbs repeat this process until all the balls are breaded. Cook in a pre heated oven for 25-30 minutes until browned and crispy.